Who said that healthy can't taste delicious? Honey is nature's sweetener, and also contains properties that can help take care of your body. From your sore throat to long lasting benefits (such as decreasing the risk of cancer) honey is the easiest healthy living choice you can make. And when it comes to honey, no one does it better than Golden Blossom bees! 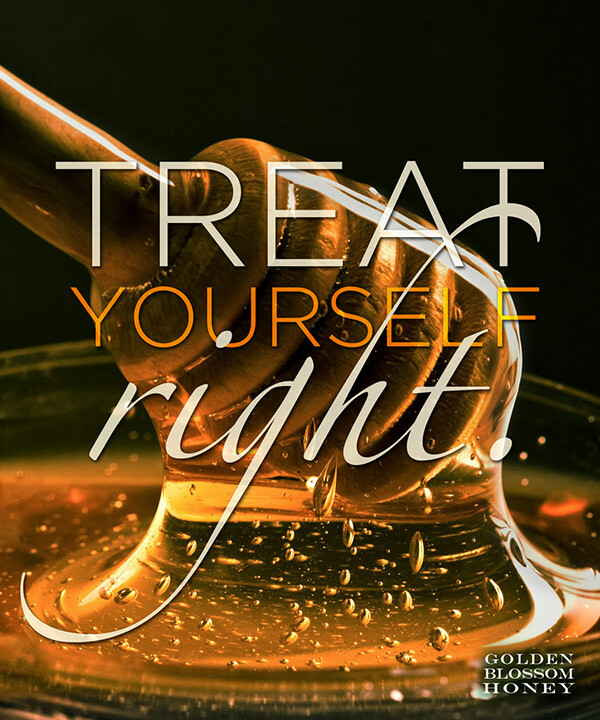 Golden Blossom Honey: Treat yourself // Treat yourself right.